Get to know more about Dr. Tim Dehr. Getting started is easy. Online forms and basic information available. Call us at (734) 929-4523 today. Many professional and amateur athletes choose safe and natural chiropractic care so they can function at the highest levels of performance. How can Performance Health Chiropractic help you or someone you know be their best? Welcome to Performance Health Chiropractic! Thank you for visiting our site. 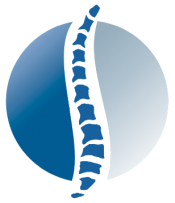 Whether you’re a new patient or have been to a chiropractor before, our site is full of helpful information about Chiropractic and the many conditions that benefit from it. Dr. Timothy Dehr’s goal is to treat each patient as an individual, developing care plans specific for individual needs. He has helped many Ann Arbor families reach their health goals and has worked extensively with athletes ranging from weekend warriors to professional and Olympic stars. We encourage you to call our office or read our reviews to learn more about Dr. Dehr and the staff. Dr. Dehr has helped many patients suffering from a number of conditions, including neck and back pain, migraine headaches, disc disorders and sport injuries. Before Dr. Dehr decided to commit his career to helping others, he was even skeptical at first, until a Chiropractor helped keep him healthy and competing in high school and at the University of Michigan. You can read more about that, just click “Meet the Doctor” above. “As an Olympic athlete, I always have been pushing my body to the limits. Unfortunately, that comes with aches, pains, and injuries. Lucky for me, Dr. Dehr is not only a specialist to help with the big issues, but his work in prevention is why I find his services to be most beneficial. We know that choosing a health care provider can be daunting and feel that the information provided here will help you make an informed decision. If you have any questions you can call or email us. We are very excited to meet new clients and hope you choose to trust your care to Performance Health Chiropractic. To schedule an appointment simply call or click here to request an appointment. Dr. Dehr frees people from pain in Ann Arbor, MI. As an experienced chiropractor, Dr. Dehr is committed to promoting health and well-being for all. "Another great visit to Dr Dehr! He helped me regain full movement in my neck and lower back without pain throughout last year and is now helping me maintain that movement with no pain. Both my wife and I visit him regularly. We are in and out quickly and if we have any questions Dr Dehr is very good at helping us understand what is going on for us." "Dr. Dehr was very professional, answering all questions and concerns. Being specific on what was going on with my body. I am looking forward to building a treatment plan to help with my pain. I do wish we could have done it all in one day, rather than me coming back for a treatment plan." "So glad I made an appointment for a treatment yesterday. Sleeping well last night did wonders for my sense of well-being. Thanks for getting my back and shoulders re-aligned. Yay!" "Very professional. Took his time to explain everything. Good adjustment"
"Friendly and professional. Reasonable cash (no insurance) prices." "Great service and friendly atmosphere. 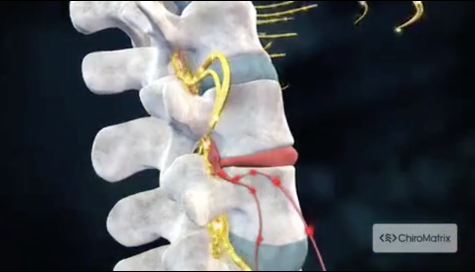 Dr. Dehr has really helped relieve my upper back pain." "Exceptional visit as always! Dr. Dehr is the most thorough chiropractor I have ever visited. I always feel like I am getting the best care possible. Scheduling appointments is easy and they are incredibly flexible to work with busy schedules. I recommend performance health chiropractic to anyone that will listen!" "I had my first appointment with Dr. Dehr last week and was extremely pleased. The appointment was just around the estimated time given to me ahead of time. Extremely friendly receptionist who was very helpful! Very comforting atmosphere. Everything was explained to me very well. Dr. Dehr really seems to care. I didn't feel rushed in any way which was an extremely welcoming feeling considering most medical appointments make you feel like there's a fire under your backside."